The Brooklyn Navy Yard (the Yard) is a 300-acre industrial park that has become the City of New York’s home of urban manufacturing. It supports a vibrant community where manufacturing, design and technology companies and entrepreneurship can grow. Today, the Yard welcomes thousands of visitors per day, and expects to see significant growth including an additional 10,000 employees in the next five years. With such growth projected, there is higher pressure on security at the front gates and bigger expectations for creating consistently welcoming experiences for visitors and employees. With hundreds of tenants and such a high volume of people coming in and out every day, it’s important for the Yard to strike the balance between effective security and a welcoming visitor experience. Marc also knew that their solution would not be able to handle the projected increase in visitors at the gates. Plus, the cost of maintenance and support was already too high. Before we had Proxyclick, our previous system was slow. 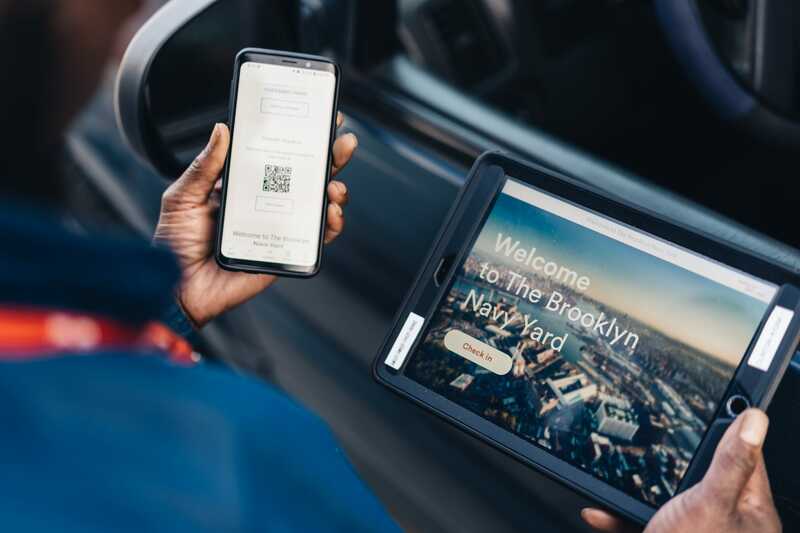 It was tedious for tenants to register visitors so we would have cars backed up all the way to Flushing Ave.
Marc started looking for a customizable solution that would fit the Yard’s needs of today and would adapt to future changes in their visitor management and security processes. The solution also needed to work hand in hand with their existing access control system, S2 Netbox by S2 Security, installed at the seven multi-lane entry points across the Yard. Proxyclick integrates with the Yard’s access control system, allowing pre-registered visitors to scan the QR code from their invitation email at the entrances to open the entrance barriers. This system means the amount of hands-on work is minimal, so security staff is only needed for visitors that don’t have an invitation. Usage of the S2 system also notifies Proxyclick hosts of the visitor arriving, keeping everyone in the loop. 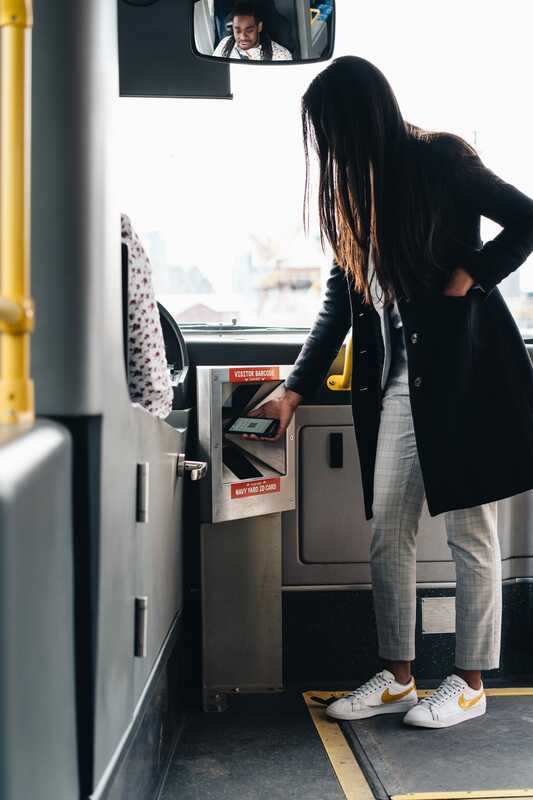 Today, eight months after deployment, Proxyclick manages the visitor access for all of the drive-through gates, pedestrian scanners, shuttle buses, front desks, and turnstiles, providing a consistent experience so that it doesn’t matter how visitors choose to enter the Yard. The overall solution provides the ultimate balance between a convenient check-in process and a high standard of security. Visitors can drive or walk through one of seven gates where QR code scanners are connected to the S2 access control system. When visitors scan the QR code from their invitation email, they’re automatically checked against the watchlist feature in Proxyclick and their badge is printed. All security staff throughout the Yard will be notified when someone on the watch list tries to enter. Security guards are equipped with Proxyclick on iPads to check any unexpected visitors in, with the same checks and printing occurring in real-time. For those visitors that arrive via the subway, the Yard provides shuttle buses to take them to their designated building. Pre-registered visitors scan their QR codes at the access control reader on the bus and are authorized to be taken directly to the Yard. Unregistered visitors without a QR code are first taken to one of the security gates to be booked-in by a security guard. 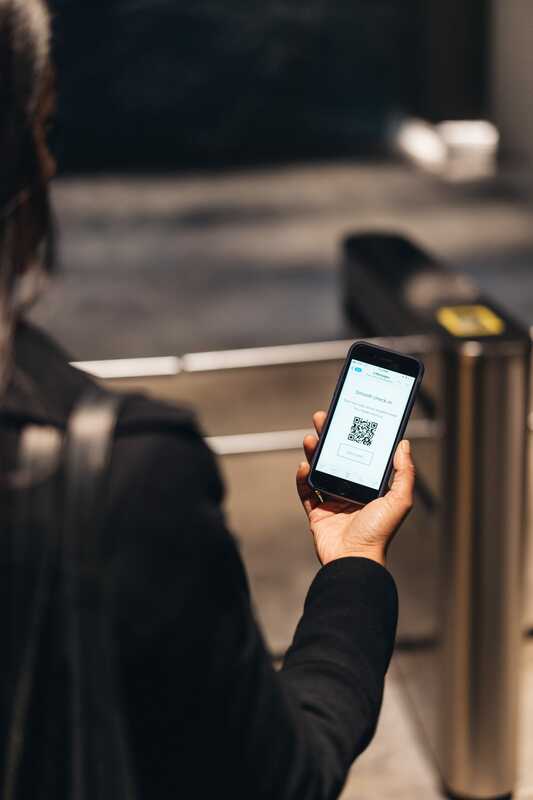 The QR code in the invitation email or on the visitors’ badge can be used to pass through turnstiles at the tenant’s build, ensuring a high standard of security and providing convenience. Through Proxyclick, the visitor management experience at the Yard has achieved the difficult balance of providing an experience that is both smoother for visitors while enhancing the security at the site. Proxyclick has significantly reduced check-in times for the Yard. “Now, it takes one third the time for a visitor to be checked in and welcomed to the Yard,” says Ricardo, Head of Security. And, with more visitors expected over the next five years, any decrease in check-in times will reduce congestion at the gates and strain on security. The security staff’s favorite feature is the watch list, and for good reason. Today, the watch list is automatically updated in Proxyclick, so it’s consistent across at all seven gates. And, if someone on the watch list tries to enter, Proxyclick automatically notifies the entire security team via text message, in real-time. Pre-registrations by the Yard’s tenants are up 30% which is a testament to Proxyclick’s ease of use. This makes the process at the security gates much faster and lines shorter throughout the Yard. The Yard is gearing up to welcome tens of thousands of visitors daily. And, they’re on the lookout for ways to improve visitor experience and security in the long term. “Today, we are testing an integration between Proxyclick, the access control system and an automated license plate scanner to help solve an ongoing issue with deliveries,”Marc explains. “Pre-registering delivery drivers was a problem, as we are often not provided with names. Pre-approving their truck plates would speed this process up". Finally, the tenants within the Yard have the option to move towards their own iPad experience at their building. This allows them to enjoy all of the benefits of Proxyclick at their buildings, with their own specific workflows and visitor experience, all while connecting to the Yard’s access control system to provide the same consistent arrival experience. Also, soon, the Yard will deploy a wayfinding to make their 300 acres easier to navigate for visitors. 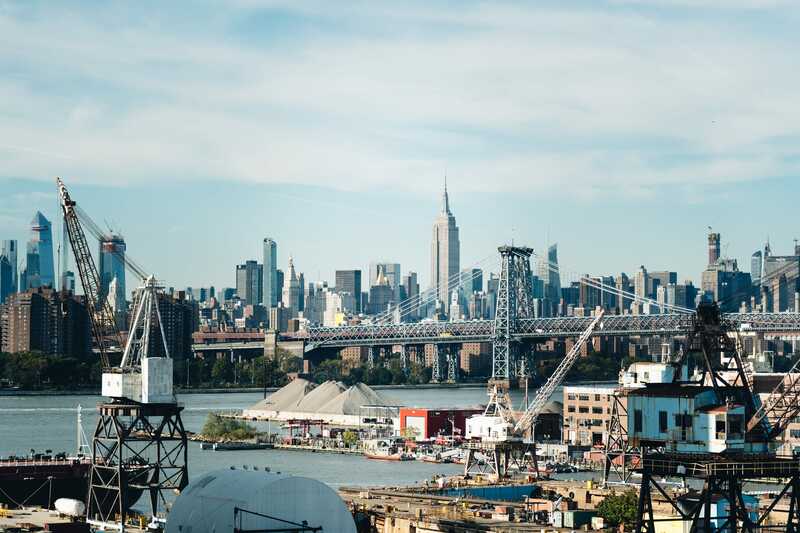 With Proxyclick orchestrating access, assisting with directions, loading authorized number plates, notifying security if needed and doing it all in real-time, the future looks bright in Brooklyn. Deliver a premiere visitor experience that impresses and improves security.